Get More Math is the best choice for math classrooms — Get More Math! Get More Math makes it possible. See how true mastery and retention will increase and year-end exams scores will improve with regular use of GMM. Want to try your hand at the student experience? 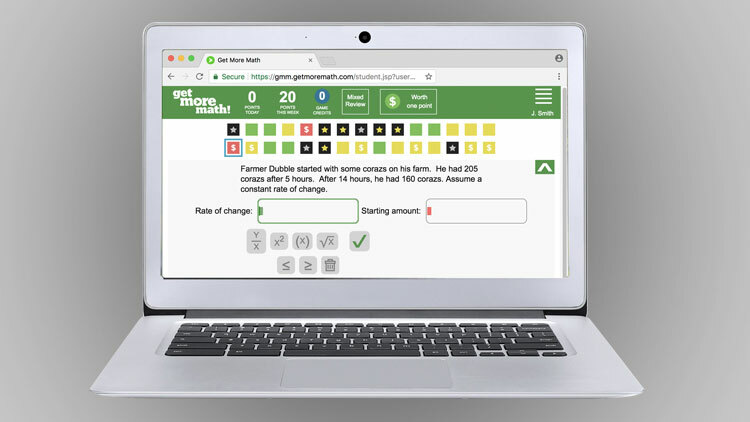 Try a few math problems with our interactive demo! Deliver individualized, cumulative mixed review to every student, every day!